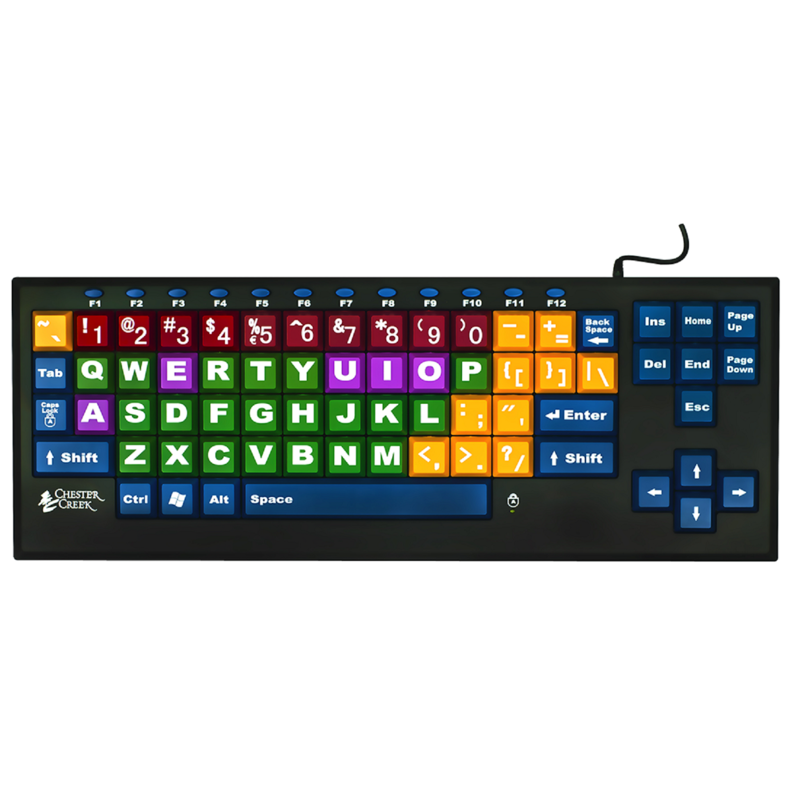 The Kinderboard Large Key Keyboard Wired USB is an excellent first children's keyboard with large, 1 inch square keys and easy-to-read numbers and letters. Consonants, vowels, numbers and punctuation marks are color-coded to help pre-school children learn their alphabet and identify character sets. 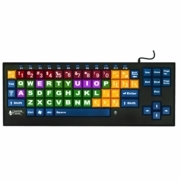 This computer keyboard will enhance any kids computer system.